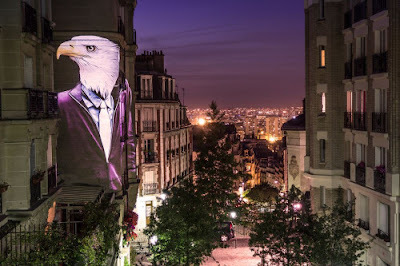 Urban installations done by projections in Paris, France. 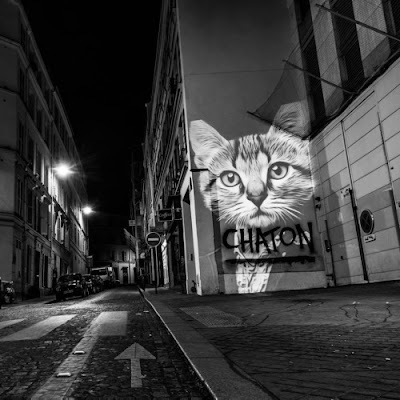 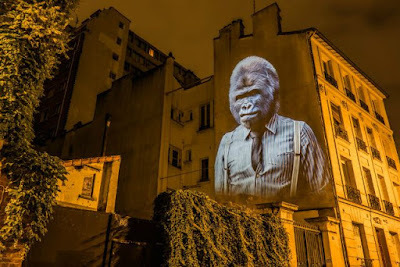 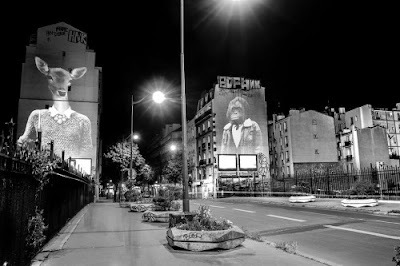 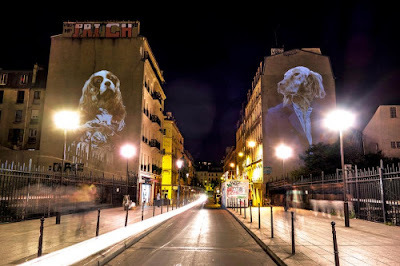 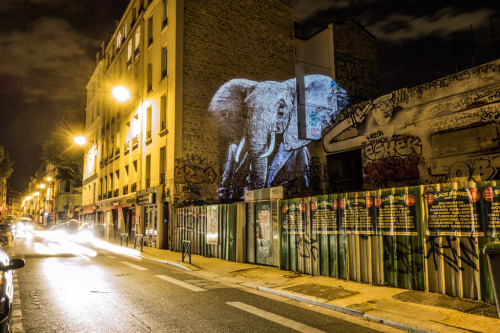 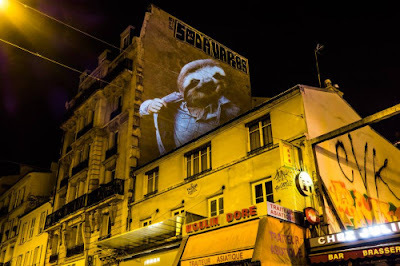 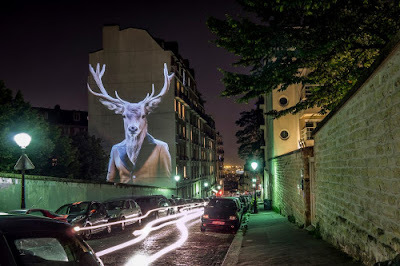 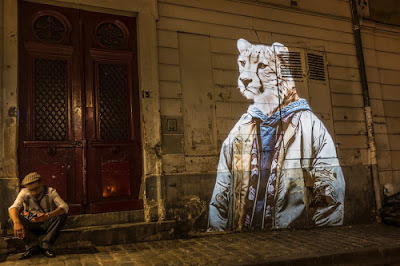 For his latest project titled "Safari Urbain" (Urban Safari), Nonnon projected a series of illustrations of animals wearing fancy suits on the facades of various buildings in Paris through an embedded video-projection system. 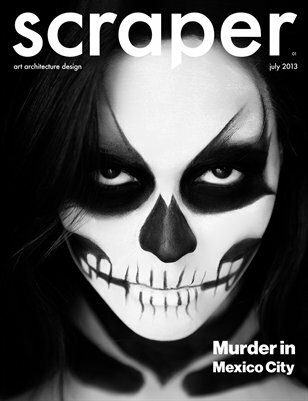 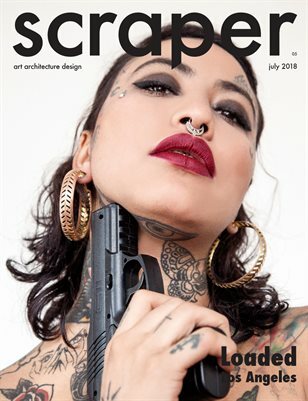 A mix of street-art and video-mapping, the project is intended to show a different perception of urban architecture and the environment that surrounds us.